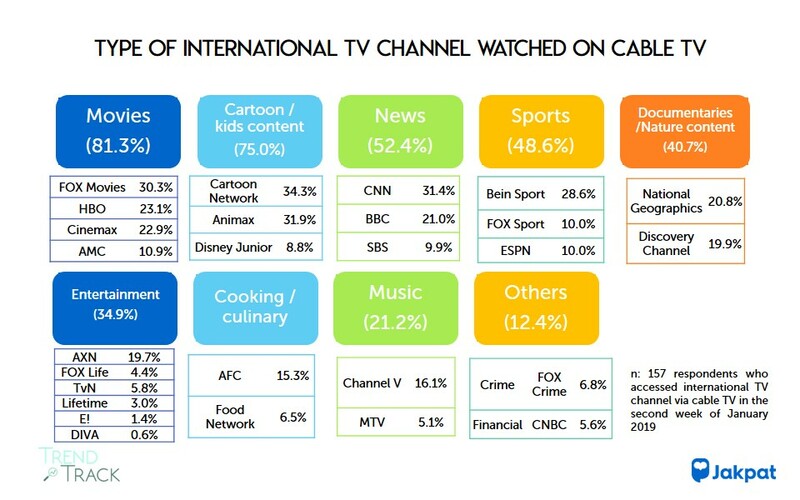 The Trend Track, biweekly media monitoring by JAKPAT returns again in 2019, presenting data on trends that occur on several media platforms in 2 weeks. 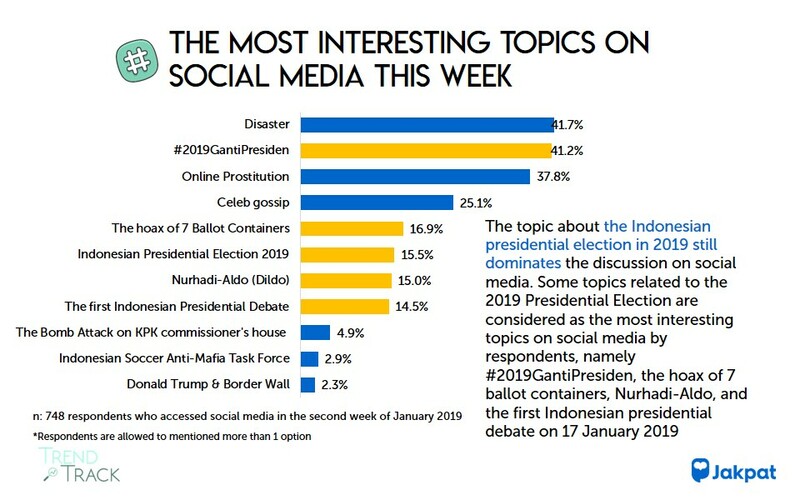 In the first edition of 2019, JAKPAT found that the issue of Indonesia’s presidential election was still a hot topic that dominated on several platforms, besides that cases of online prostitution were also a major concern of respondents in the second week of January 2019. 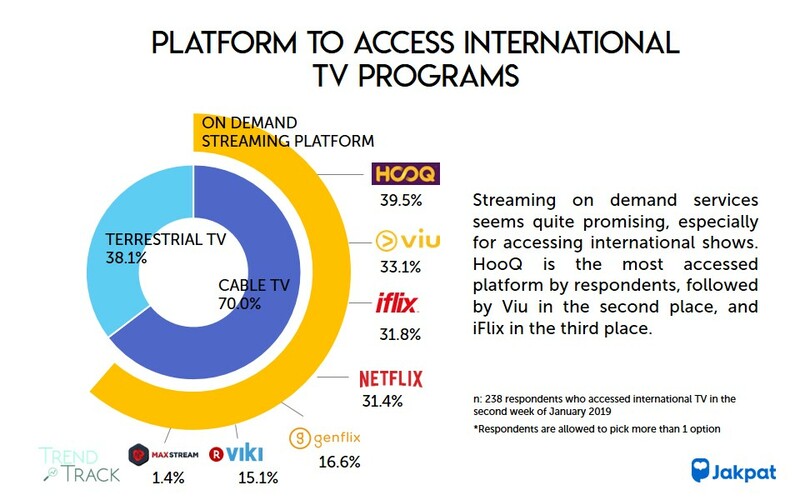 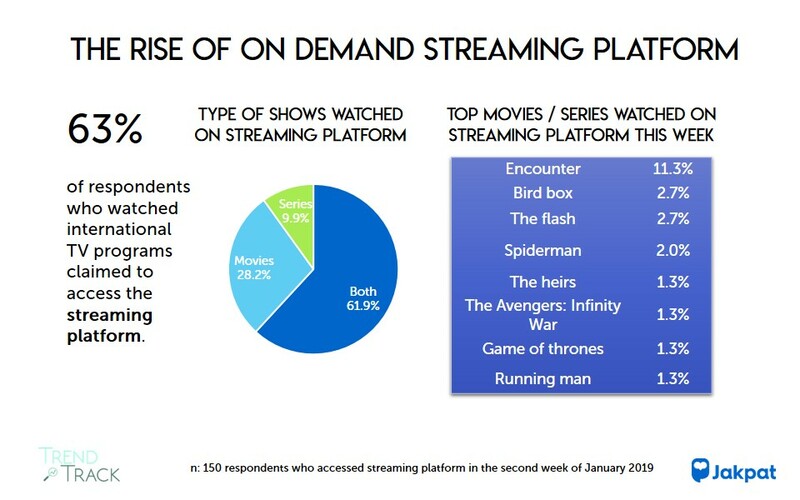 This week, we found 63% of respondents who watched international TV programs claimed to also access it through an online streaming platform. 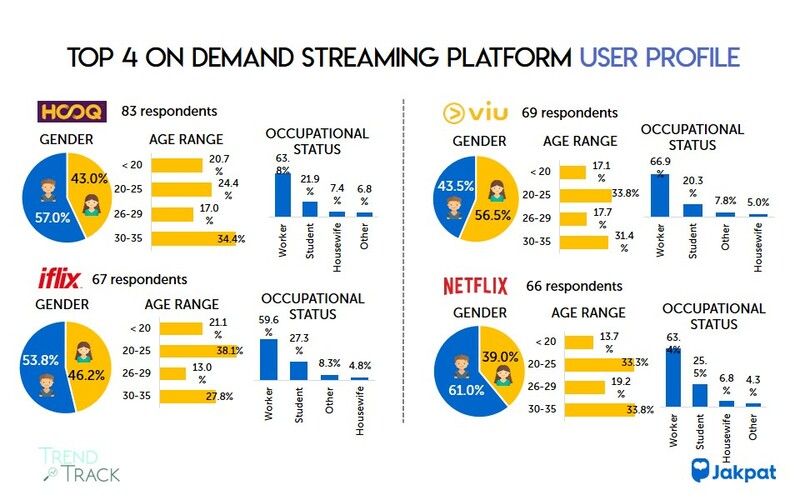 Indonesian (national) TV programs, international TV programs (including online streaming platform such as Netflix, HooQ, iFlix, Viu, etc), Youtube, social media, and online news. 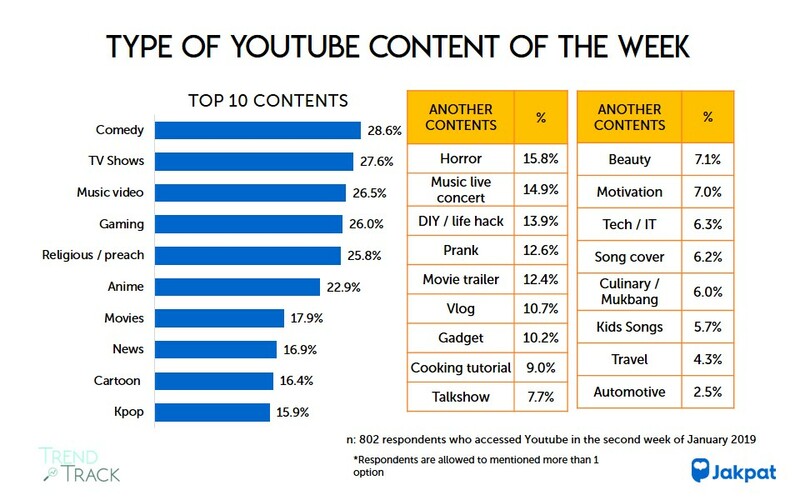 This entry was posted in Download Reports, Lifestyle, Marketing, Mobile, Personal, Premium Report on February 4, 2019 by JakPat.